Plant roots are an important indicator that a plant is doing well or not. 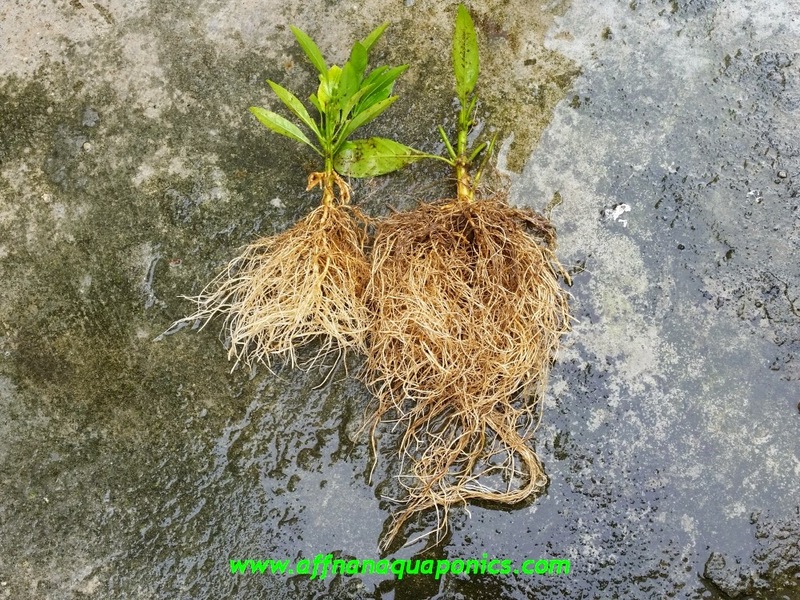 If a plant has good and strong root system it will be able to get more nutrient for growth and at same time provide a stable foothold to brave the elements. 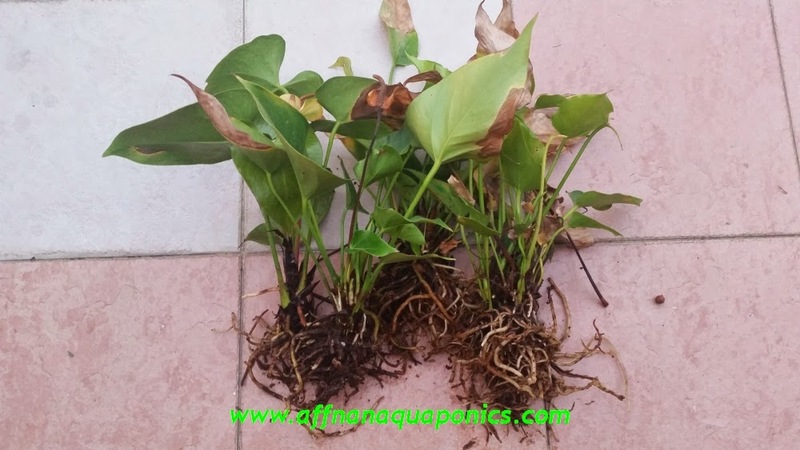 Decaying roots is a sign of unhealthy growth or unsuitable plant for that particular area either be it soil or Aquaponics. 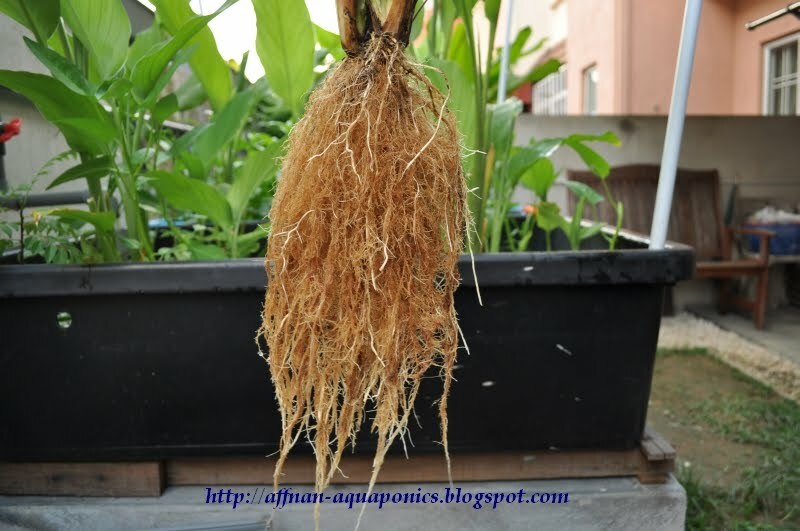 In Aquaponics plant root are subjected to a more watery condition as compared to soil planting. Proper water control is important to get root to grow and flourish under these conditions. Root require air otherwise they will rot and eventually causing the plant to die. 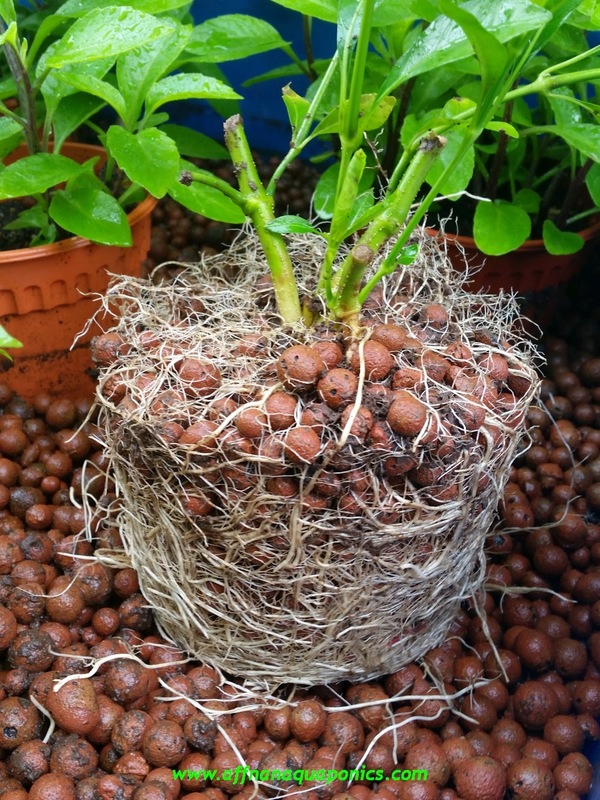 Don't be afraid to pull out few of your plants in Aquaponics to check on the root formation, especially plants that you are not familiar with or just starting out to try. Root like these shown above from a lemon grass plant is an example of a good root formation and we will be sure that this plant will do well in Aquaponics. 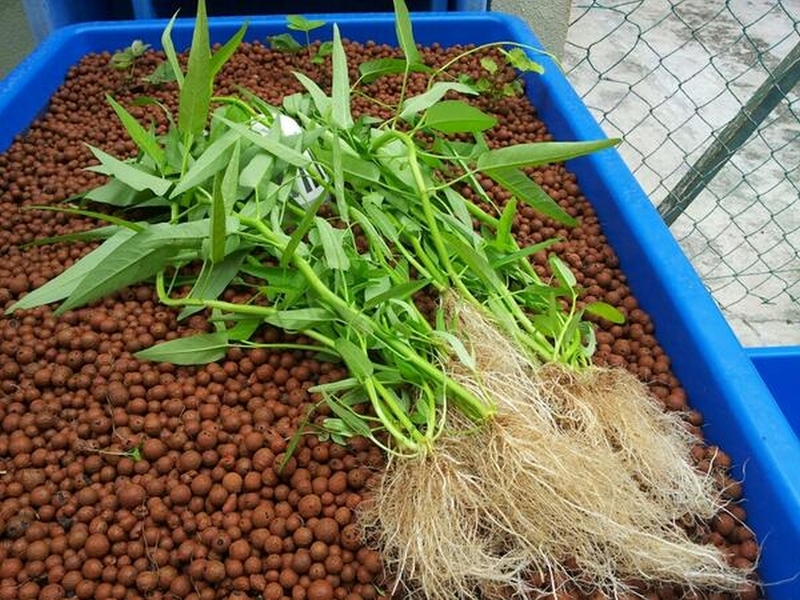 Kangkung roots are indicator of this plant adapt well to Aquaponics. I am new to Strawberry, but looking at the root it is a good sign that the plant will grow without much problem. Gandarusa plant above and below, has good growth as well. 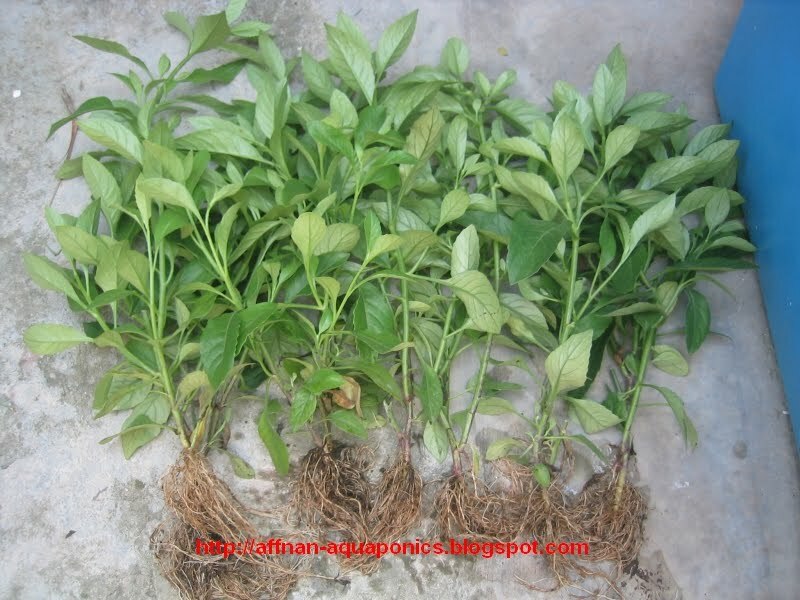 Sambung Nyawa below also do very well as the roots are healthy. 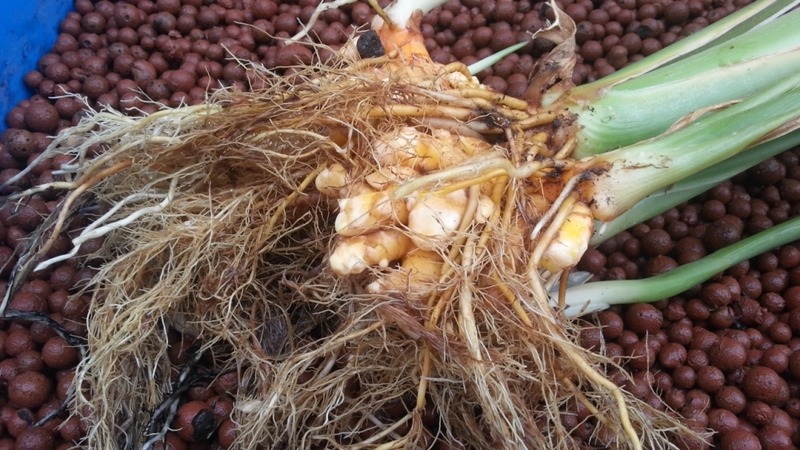 Turmeric can do well but require good water control, otherwise it will not form much needed tuber. 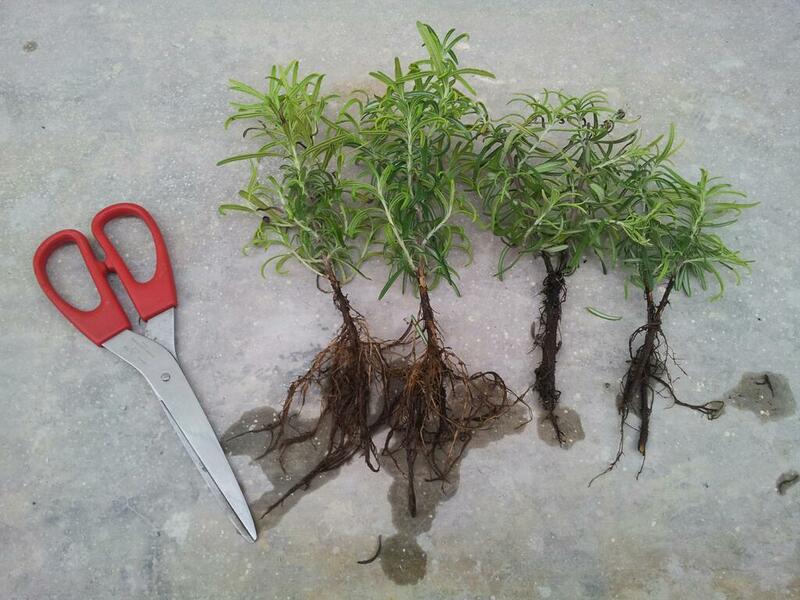 Rosemary below, the root not doing well. This plant not able to grow on Aquaponics. I need to test again to see if I did something not right. Anthurium is bad to, no sign of good root growth after three months. So to know whether the plant will do well or not, don't be afraid to pull it out and check the roots. How do you control the water ? what is enough water control? any rule of thumb? In my case, I only "on" the fill and drain of my aquaponic during day time and "off'" it in nigh time. There is no real bench mark for this in Aquaponics. 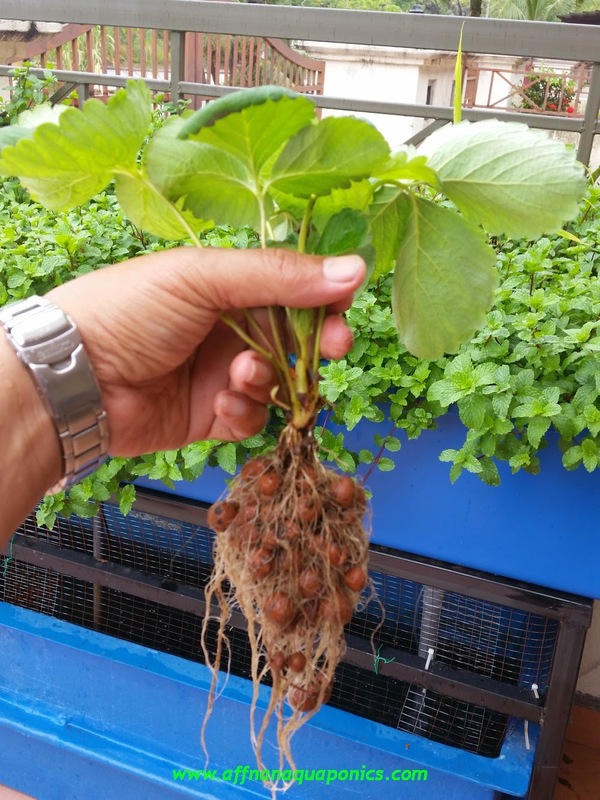 If you has good water drainage in growbed without any clogging and when siphon is use if the siphon works without hickup then you have good water flow in Aquaponics. Failing this will limit the type of plants that can be grown.